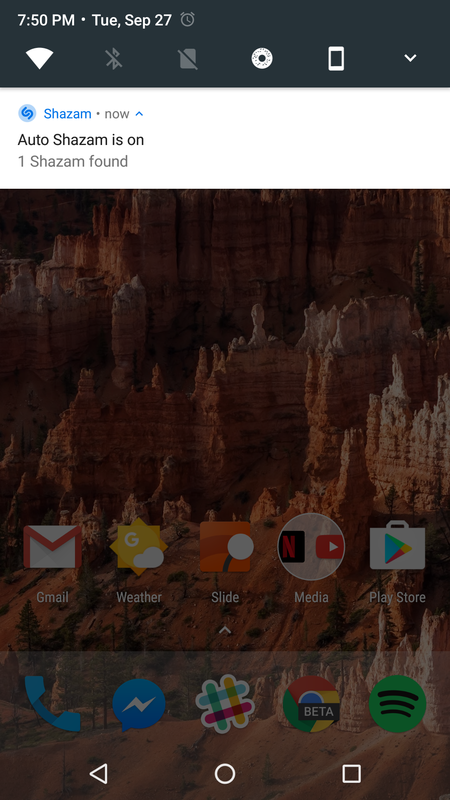 We first saw custom tiles in an Android N Developer Preview a few months back, but unfortunately, not many apps have added this feature. 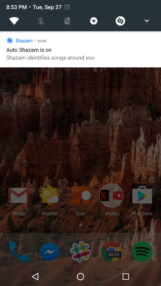 It's a shame, really; custom tiles are easy to use and can add a lot of speed and functionality to frequently-used apps. Now, Shazam has added one called "Auto Shazam," and it might come in handy if you're a big music listener. I don't personally use Shazam anymore (Google does the same thing if you start a voice search, FYI), but I can certainly see the merits of this for people who are invested in it. 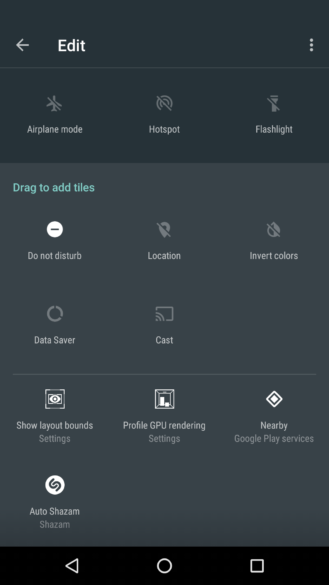 Android Nougat user? You can now customize your phone by adding the Auto Shazam tile, so you never miss a song again! 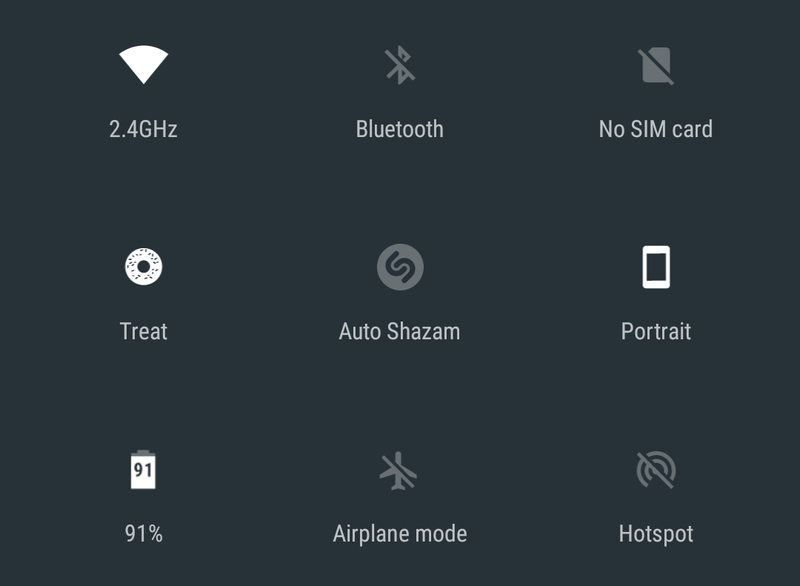 Just go to your notification quick settings to make the changes. 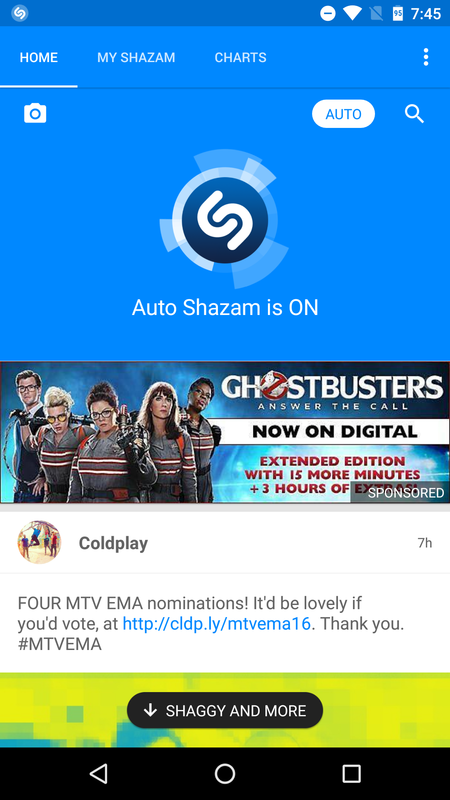 Auto Shazam, when activated, simply turns Shazam on in the background, so you can identify music without having to open the app. In fact, you don't even need to have your screen on. 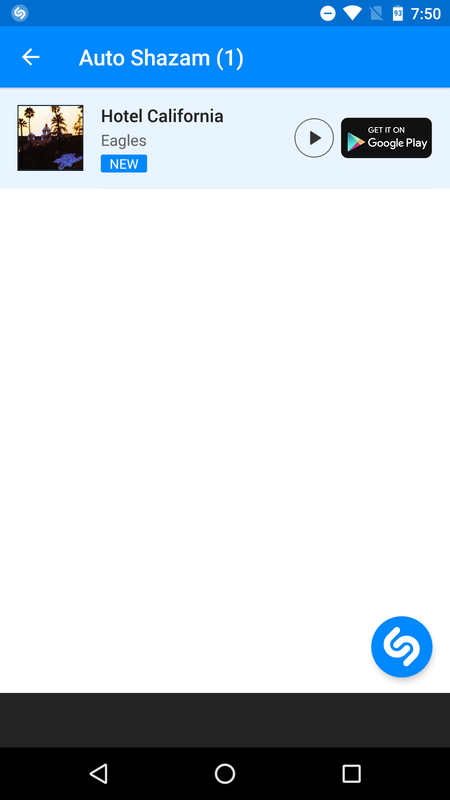 To add it, just pull down your notification shade, go to your Quick Settings, click Edit, and drag the toggle into your QS. It's a quick and painless process. 1-2: Notifications. 3-4: What happens when you tap on the notifications. Shazam keeps its service on in the background with a persistent notification. 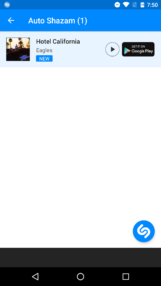 Some people might find this annoying, but I didn't find it too intrusive since it also uses this notification to let you know when it identifies a song. 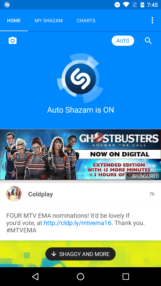 If Shazam's detected the song before, a notification won't pop up for it in order to prevent your Shazam list from filling up. 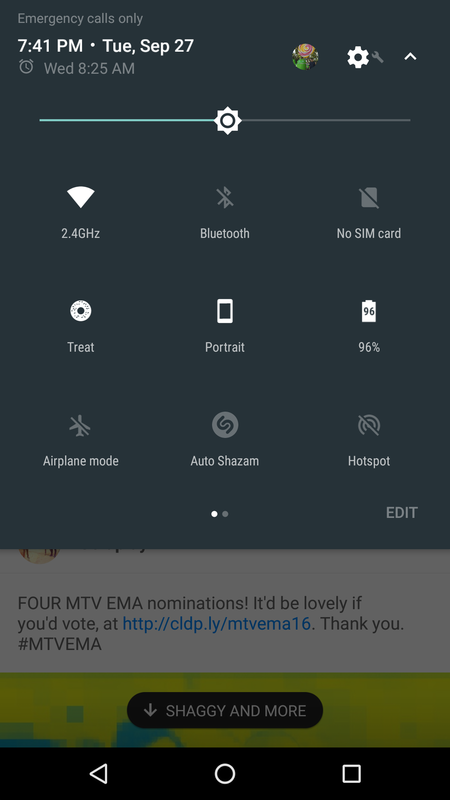 Clicking on the persistent notification when no songs have been identified will open the app, at which point you'll be greeted by an animation for Auto Shazam. If one or more songs have been identified, tapping the notification will bring you to a list of all songs you've found with Auto Shazam. All in all, this is a pretty solid custom tile. 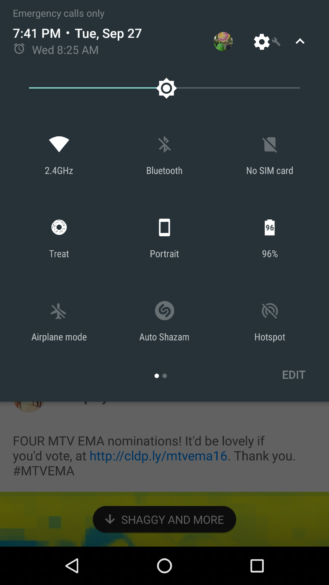 If you use Shazam and can get over the space that the notification constantly takes (and potential battery drain), it's a nice feature to have around. The update (7.1.0) should already be live on the Play Store, but if it isn't for you, you can grab it from APKMirror here.